Welcome, World Class Packaging Customers! As Of August 10, 2018, World Class Packaging has merged with Arnold Packaging! I’m Mick Arnold, President of Arnold Packaging in Baltimore and on behalf of Marco Alban, I’d like to welcome you to the Arnold Packaging family. For 85 years, my family has been providing customers with the solutions they need to increase productivity, shatter obstacles in production, and help boost their bottom line. I look forward to doing the same for you. I invite you to explore our range of services and learn how we can help your business grow. We offer a diverse range of options and would be happy to discuss how each one can offer answers to the unique challenges your company may face. Arnold Packaging has the right container for virtually any product, in all shapes, sizes and quantities — and if we don’t, we can design and manufacture it ourselves. We handle every aspect of getting your goods from Point A to Point B safely. We can custom design the container, manufacture it to spec, and even package your product at your facility for safe travel via any mode of transportation. 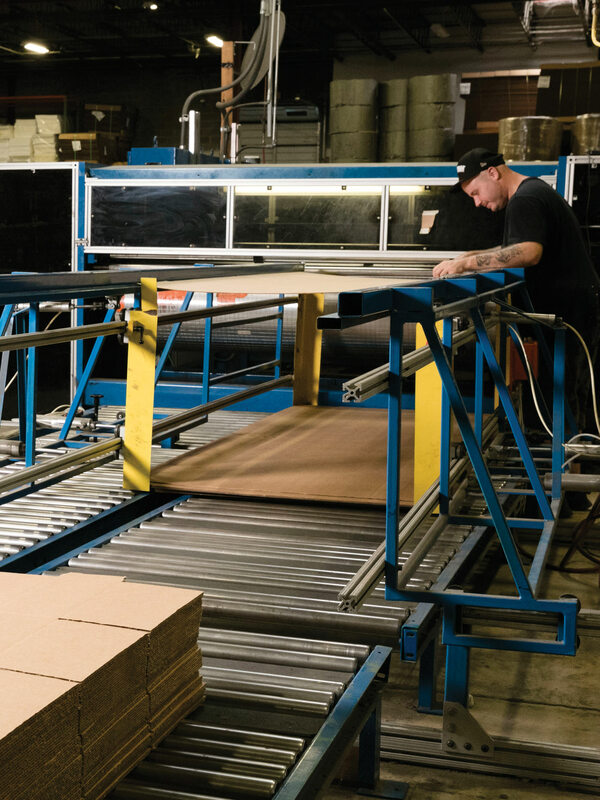 We can show you how packaging equipment and machines increase efficiency and reduce your labor costs, while keeping employees happy and boosting your productivity. Arnold Packaging knows how to protect your investment in packaging automation technologies and tools. Our factory-trained technicians provide expert installation, preventative maintenance and repairs for a wide variety of packaging equipment and hand tools. In the weeks to come, Marco and Manny Alban or Keith Roberts and we will be bringing you up to speed on the full range of products and services now available to you. As always, if you have any concerns or questions, please do not hesitate to contact me at marnold@arnoldpackaging.com or via cell at 443.386.1355. Your business is my top priority. I look forward to growing our relationship in the future.